Be emotionally strong, with subliminal messages! 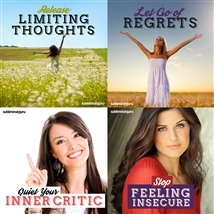 Squash negative thoughts, regain control, and master your feelings. View More. Do you want to become less argumentative? Would you like to stop being confrontational and disagreeable? Arguments don't serve any constructive purpose. They drain your energy, fill your body with stress, and can often make matters worse, turning a difference of opinion into a full-blown conflict. 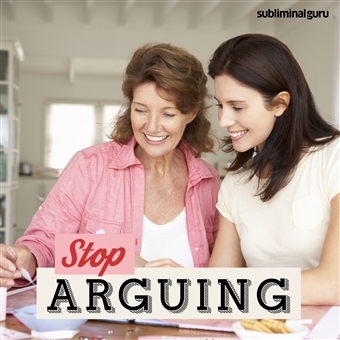 With the Stop Arguing subliminal session, you'll find the strength to deal calmly and patiently with confrontation! As you listen, thousands of powerful positive affirmations will alter your thinking, helping you resolve disputes in more positive ways. You'll start to relax and listen to other people, knowing they have a right to their own opinions. You'll stop being so defensive and become more open and accepting, letting situations unfold without getting caught up in them. Eliminate arguing from your life! 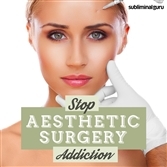 Download the Stop Arguing subliminal audio now to put an end to petty squabbles for good. I am able to appreciate other people's viewpoint. I realize that arguing is a waste of my energy. I always look for a peaceful solution. I can resolve situations without arguing. I am able to communicate effectively. I am able to remain calm and composed. I know I can avoid arguing. I am able to compromise. It's easy for me to find a happy medium. I can get my point across without arguing. I am able to stay relaxed and in control. I appreciate other people's input.